So you love cycling, and you know how to ride on the best shoes, but you don’t own a pair of cycling shoes? For how long will you keep on renting? While classy boutiques such as Flywheel, SoulCycle, and Ravel Ride stock classy shoes that you can rent or borrow, you will notice an added value if you decide to purchase yours if you are a frequent rider. An obvious benefit is that you will save on rental fees in the long run. Also, you’re able to wear shoes that fit your shoes comfortably. With that in mind, am sure most of you are thinking of where to buy cycling shoes, considering the significant number of sellers out there. The blog seeks to give information on that and much more! Why buy your cycling shoes? As any cycling enthusiast will tell you, owning a right shoe that clip well to your pedals is a game changer. The reason is that it offers powerful and efficient cycling experience, allowing you to move more energy from the pedal stroke to the bike. Moreover, by wearing properly fitting shoes, you help prevent injury by ensuring that your ankle and feet don’t move around when cycling and also keeps your body in the right alignment. Also, if you love competing, such shoes can make a dominant rider and keep you free from injury. While renting cycling shoes seems convenient for beginners, the benefits of owning a pair outweigh the disadvantages. Besides, every shoe fits differently and since numerous riders wear a single shoe, the shoes are not fit enough for your feet. For regular riders, having your shoes offers peace of mind. Besides, most cycling shoes are durable enough to last for years, making the shoes a significant investment in your cycling routine. As you purchase your first pair of cycling shoes, it is good to try different models and sizes in person, keeping in mind comfort and performance. I suggest going and trying on every cycling shoe and choose the one that fits your foot best. Your feet need to feel comfortable in the shoes as soon as you slip the shoes into your legs. Your toes should wiggle around, but the heel should not slide around at the back of the shoe as you walk. While searching for the best, there are a variety of brands and sizes at the larger chains, but it is also possible to find fitting and useful shoes at the local bike store. For those who love shopping online, there are great deals on these shoes on sites such as Amazon, REI, and Zappos. On Amazon, you can find beginner shoes for as little as 40 dollars on top of getting shoes from reputable brands like Shimano. However, you may need to buy compatible cleats separately. 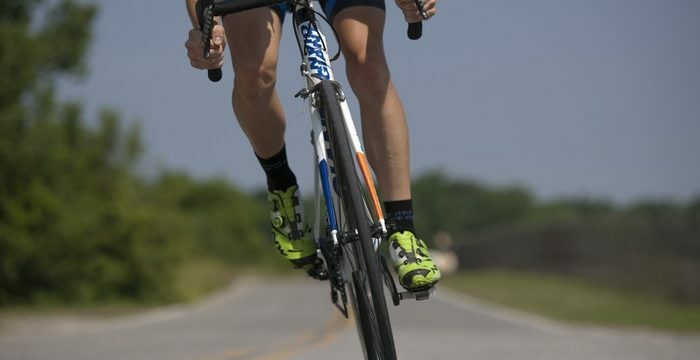 Buying cycling shoes online is a good thing because one can find a range of cycling shoes and choose from various models and price tags. Also, when buying online, you will get the pair at the comfort of your home. You won’t have to travel to the stores. Stores are another great alternative to buy cycling shoes. While shopping at the stores, you need to visit specialty stores such as REI so that you can try on the shoes in person. Also, at the store, you can talk to the specialist on specific features that you are looking for. Besides, what is a better way to know how the shoe feels on the feet than trying them on? Some hard materials may rub against the bone in your ankle and cause discomfort. As you try on the shoes at the store, make sure the shoe fits comfortably. Also, cycling shoes need more flexibility than running shoes. Your shoes will not stretch to accommodate the feet as you slip them in. Also, you do not need much toe room with cycling shoes as you do with running shoes. However, they need to fit more than the average sneaker. There you have it. You don’t have to worry about buying a pair of cycling. You can choose to buy from both online or in the stores. Whichever way you chose to follow, make sure you get the best shoe that will take your cycling to the next level! Greg Tang from Bikes Gearlab reveals the reasons any cyclists must follow. Read his latest posts from here.